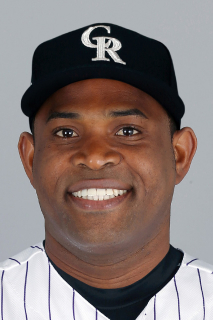 Santiago Casilla…pitched under the name of Jairo Garcia from 2000-05…was originally signed by Bernardino Rosario and Raymond Abreu…is married and has four children. Began the season as the A's closer and saved a team-leading 16 games before Blake Treinen took over in July…had the fewest saves by an A's team leader since Dennis Eckersley and Jay Howell had 16 in 1987…was 16-for-23 (69.6%) in save opportunities and had the second lowest save percentage in the majors (Dyson, TEX-SF 66.7%)…it was the fifth lowest mark in Oakland history and second lowest over the last 30 years (Cook, 66.7% in 2012)…tied for second in the American League in blown saves (7)…compiled a 4.27 ERA in 63 relief appearances in his first season with Oakland since 2009…the ERA was his highest since that year (5.96)…logged a 2.57 ERA over his first 14 games, a 5.96 ERA over a 25-game stretch from May 12 to July 26, and a 3.63 ERA over his final 24 contests…had career highs in stolen bases allowed (10), hit batters (6), sacrifice flies (6) and pitches thrown (1025) and matched his high in home runs (8)…the sacrifice flies tied for the most among AL relievers and tied for eighth among all AL pitchers…the hit batters tied for third among AL relievers and the stolen bases tied for sixth…opponents were 10-for-10 in stolen base attempts with him on the mound and the 10 steals matched the most allowed in Oakland history by a pitcher with no caught stealings (fourth time, last: Luke Gregerson, 2014)…had a 3.82 ERA and converted 15-of-19 (78.9%) save opportunities in 34 games before the All-Star Break… then compiled a 4.85 ERA and was 1-for-4 (25.0%) in saves in 29 games after the break…allowed a .259 opponents batting average, including .256 (23-for-90) against left-handed hitters compared to .261 (35-for-134) against right-handers…issued 15 of his 22 walks to lefties…held first batters faced to a .200 batting average…allowed 4-of-6 (66.7%) inherited runners to score…opponents hit .139 with two strikes and .169 with runners in scoring position…now has a .211 (141-for-668) career average with RISP, including .172 (56-for-325) with RISP and two outs…logged a 3.45 ERA at home, 5.20 on the road…surrendered seven of his eight home runs on the road…had a 2.66 ERA during the day, 5.35 at night…now has a 2.76 career ERA (70 er in 228.1 ip) during the day compared to 3.62 (155 er in 385.2 ip) at night…posted a 0.75 ERA in 12 games on no days rest, a 5.17 ERA in his other 51 appearances…tossed one inning or fewer in each of his 63 appearances, including exactly one inning 56 times. OAKLAND: Did not allow a hit over his first six games (6.0 ip, 2 r, 2 er, 3 bb, 6 so)…including April 10 at Kansas City when he struck out the side in the eighth inning…it was his first of two threestrikeout games in 2017 (June 16 vs. New York-AL)…held the opposition to a .129 batting average in 10 outings in April…had a 2.57 ERA over his first 14 appearances through May 10…then allowed a career-high tying four runs in 0.1 innings May 12 at Texas for the blown save and loss… surrendered a season-high four hits in that contest, including a three-run walk-off home run by Joey Gallo…converted four consecutive save opportunities from May 24 to June 6 and June 16 to 27, which were his longest such streaks of the season…was 8-for-9 (88.9%) in save chances and logged a 3.00 ERA over a 12-game stretch from May 24 to June 27…finished June with a 3.00 ERA despite a .306 opponents batting average in 11 games…made his 600th career appearance July 8 at Seattle and tossed a scoreless ninth inning for the save in the A's 4-3 win…had a save and two blown saves over a four-game stretch from July 18 to 26 and ceded closing duties to Treinen…allowed two home runs in a game for just the second time in his career on July 26 at Toronto (also May 29, 2009 at Texas)…did not record an out in that contest, his only outing without retiring a batter in 2017…then had a season-best 7.1 inning scoreless streak over his next eight games from July 29 to Aug. 13 (4 h, 3 bb, 10 so)…followed that by allowing at least one run in six of his next 12 outings for a 6.55 ERA. Went 2-5 with 31 saves and a 3.57 ERA in 62 relief appearances with San Francisco…ranked sixth in the National League in saves but had a career-high nine blown saves, which tied for the most in the majors (Jones, CWS)…those were the most blown saves by a Giant since Robb Nenn also had nine in 1999…his save percentage of 77.5% was fourth lowest in the NL…the saves were second most in his career to his 38 from 2015…struck out a career-high 65 batters in 58.0 innings (10.09 per nine innings)…walked just 19 and his average of 2.95 walks per nine innings was the second lowest mark of his career (2.31 in 2014)…had a career-best strikeout-to-walk ratio of 3.42…hit a career-high five batters and matched his career high by allowing eight home runs (also 2012)…had two balks after entering the season with one career balk…allowed a .235 opponents batting average, including .215 (28-for-130) against right-handed hitters compared to .265 (22-for-83) against left-handers…surrendered five of his eight home runs to lefties for a .530 slugging percentage…had a .315 slugging percentage against righties…his career splits are .214 (262-for-1222) against righties, .257 (214-for-833) against lefties…yielded a .272 batting average and seven of his eight home runs with the bases empty, .182 with runners on…opponents hit .173 with runners in scoring position, including .077 with RISP and two outs…has a .215 (131-for-609) career average with RISP and .173 (51-for-294) with RISP and two outs…held the opposition to a .197 batting average with two outs and has a .215 (98-for-455) mark in his career in that situation…the opponents clean-up hitter batted just .115 off him…allowed just 1-of-18 (5.6%) inherited runners to score…first batters faced hit .228 with two walks (.267 on-base percentage)…had a 2.25 ERA in 29 games on the road, a 4.80 ERA in 33 contests at home…yielded two home runs in 28.0 innings on the road, six in 30.0 innings at home…logged a 2.84 ERA in 25 day games, a 4.13 ERA in 37 night games…was 1-2 with a save, two blown saves and an 11.57 ERA in seven interleague appearances…converted each of his two saves against Philadelphia and is 11-for-11 with a 1.71 ERA (4 er in 21.0 ip) in 21 career appearances against the Phillies…never entered a game before the eighth inning…did not allow a run in the eighth (3.0 ip), had a 3.50 ERA in the ninth and a 5.19 ERA in extra innings…had just six outings longer than one inning, including a season-high 2.0 innings twice (July 23 at New York-AL and August 8 at Miami). Completed his sixth season in a Giants uniform, his 12th big league season overall....Posted a career-high 38 saves while going 4-2 with a 2.79 ERA in 67 relief outings (second-most appearances of his career)... Averaged a career-best 9.62 strikeouts per 9.0 innings, recording a season-best 62 strikeouts in 58.0 innings. Began the season as SF's setup man, but by season's end was the team's closer, going 19-for-23 in save situations...Went 3-3 with a 1.70 ERA (11er, 58.1ip) in 54 relief outings...Among NL relievers ranked fifth in ERA (lowest of his career), tied for fifth in WHIP (0.86) and sixth in opponents avg. (.177)...Joined Sergio Romo (23 saves) as the only teammates in the big leagues with at least 15 saves...Fashioned a 0.79 ERA on the road, allowing three runs in 34.1 innings...also went 12-for-13 in save chances...Left-handed batters hit .200 off him with four extra base hits (three 2Bs, HR)...righties were 19-for-118 (.161) with four extra base hits (two 2Bs, two HRs)...in fact, his eight extra base hits allowed were tied for the sixth-fewest among NL pitchers with at least 50.0ip...Took over the closer duties from Sergio Romo on June 29 and converted 17 of 18 save chances. Completed his 10th Major League season, his fourth with the Giants, going 7-2 with a 2.16 ERA (12er, 50.0ip) in 57 games...His 2.16 ERA was tied for the ninth-lowest figure among NL relievers...His seven wins matched his career-high (also had seven wins in 2010 and 2012)...Missed 47 games due to surgery to remove a bone cyst near his right knee (May 21-July 13)...stranded 27 of 32 inherited runners (15.6%), which ranked as the seventh-lowest percentage in the National League...opponents hit just .155 (9-for-58) off him with runners in scoring position...Went 7-1 with a 1.78 ERA (5er, 25.1ip) in 28 games at AT&T Park...His 23 holds ranked as the ninth-most among NL relievers...The Giants were 40-17 in the 57 games Casilla appeared in...Helped the Dominican Republic win the 2013 WBC by throwing 5.0-scoreless innings from the bullpen. Had a career year, as he went 7-6 with a 2.84 ERA(20er, 63.1ip) and going 25-for-31 in save chances, the most saves on the team and tied for the 10th most in the NL. Posted career highs in wins, saves, games (73) and innings pitched. His 73 relief appearances were the most on the team. Was 19-for-20 in SV chances in his first 30 games before blowing five of nine from June 24-July 21...dealt with a blister on his throwing middle finger that affected his command. Held right-handed hitters to a .197 avg. (29-for-147), whichranked tenth among NL relievers. Was one of Giants' top relievers, posting career-low 1.74 ERA (10er, 51.2ip) in 49 games. ... His 1.74 ERA ranked as 2nd-lowest among NL relieversthat qualified for ERA (Atlanta's Eric O'Flaherty, 0.98). ... Missed SF's 1st 48 games since April 1 with an inflamedright elbow...allowed one run on Opening Day (March 31),his only inning before being placed on DL on April 6...hadstruggled with inconsistent velocity on his fastball sinceend of spring training. ... Returned from his rehab assignment and was reinstatedoff disabled list on May 28. ... Fashioned 0.68 ERA (2er, 26.2ip) in 25 games at AT&TPark, lowest home figure among NL relievers (min. of25.0ip) and lowest mark by any Giants reliever in AT&TPark history (min. of 25.0ip). ... With Brian Wilson on DL for month from mid-Aug. tomid-Sept., was used as SF's closer, going 6-for-6 in savechances. Was one of Giants most reliable bullpen arms during 2010 championship season as he established career-bests in wins (7), ERA (1.95, 12er, 55.1ip), innings pitched (55.1ip), strikeouts (56), avg. against (.208), hits allowed (40) and home runs allowed (2)...Missed 1st month of spring training with visa problems in Dominican Republic...His career-high 7 wins were tied for 3rd-most among NL relievers...Stranded 41 of 47 inherited runners, including 25 of his last 27...his inherited runners scored % of 12.8 was 2nd-lowest in Majors, behind Houston's Wilton Lopez (3.0%)...that 12.8% was also lowest by any Giants reliever since at least 1970...After logging 4.32 ERA (8er, 19.2ip) through July, was one of best relievers in Majors over final 2 months of season, recording 9th-lowest ERA (1.10 ERA , 4er, 32.2ip) in 26 outings, beginning Aug. 1 (min. of 25.0ip)...teammates Ramon Ramirez (0.67, 2nd) and Brian Wilson (0.95, T3rd) were also on this list...Held opposition to .208 (40-for-192) avg. against for 18th-lowest figure among NL relievers (min. 150 ABs)...left-handers hit .203 (12-for-59) off him, while righties batted .211 (28-for-133)...Earned his 1st NL victory May 27 vs. Washington, tossing 0.2 innings...Tallied his 1st NL save June 6 at Pittsburgh in SF's 6-5 extra inning (11) win...Tossed career-high 3.0 innings Aug. 10 vs. Chicago-NL...Was tied for 7th-lowest ERA among NL relievers in Sept./Oct. with 0.60 figure (1er, 15.0ip)...Began season with triple-A Fresno and appeared in 4 games going 0-0 with 2 saves, 0.00 ERA (0er, 4.0ip) and 7 strikeouts. For 2nd-consecutive season, made A's Opening Day roster and got off to good start, however went on DL and struggled following his return...had 1.59 ERA and .079 opponents batting average in 9 appearances when he was placed on 15-day DL May 2 (retroactive to April 29) with sprained right knee...was reinstated from DL May 15 and compiled 7.30 ERA and .356 opponentsbatting average in 37 games following his return...was 1-2 with 5.96 ERA in 46 relief appearancesoverall...had career-highs in losses, hits (61), runs (36), earned runs (32), walks (25) and opponents batting average (.303) and matched his high in home runs (6)...ERA was highest of his 3 full seasons...his opponents batting average included .257 (27-for-105) mark against right-handed hitters and .354 (34-for-96) against left-handers...issued 16 of his 25 walks to lefties...allowed 15 of 19 (78.9%) inherited runners to score...since 1974, that is highest percentage among Oakland relievers with at least 10 inherited runners...did not allow run in his final 7 outings before going on DL (8.1ip) and had 1.59 ERA in 9 outings in April...made 2 rehab starts May 9 for Class A Stockton against Rancho Cucamonga and May 12 for triple-A Sacramento against Albuquerque...tossed 1.0 inning in each outing and retired all 3 batters he faced...did not allow run in 4 of his 1st 5 outings following his return from DL (4.26 ERA), but then allowed 12 runs on 11 hits, including 4 home runs, and 5 walks over his next 6 games and 3.0 innings from May 23 to June 9 (36.00 ERA, .550 opponents average)...allowed 2 home runs in game for 1st time in his career in 1st game of doubleheader at Texas May 29 and absorbed loss...allowed career-high tying 4 runs and retired just 1 batter June 9 against Minnesota...matched that Sept. 11 at Minnesota and allowed 10 runs on 10 hits in 3.1 innings against Twins in 2009 (8er, 21.60 ERA)...retired 24 of the 28 batters he faced over 6-game stretch from June 12 to 30 (1.13 ERA)...allowed 10 of his 11 inherited runners to score over his final 20 games beginning July 3...tossed career-high 2.2 innings Aug. 1 against Toronto...appeared in just 8 games over final 58 days of season beginning Aug. 8 and had 7.71 ERA and .441 opponents average over that span. Made the A's Opening Day roster for the first time and was off to a strong start before going on the disabled list...hada 0.93 ERA and .185 opponents batting average in 21 games before he was placed on the 15-day DL on May 16with right elbow soreness...was reinstated from the DL on June 19 and posted a 5.81 ERA and .353 opponentsbatting average over his final 30 outings...it was the second consecutive season that he started the year strongbefore struggling late in the campaign...in 2007 he posted a 0.70 ERA and .174 opponents batting average overhis first 20 games and an 8.28 ERA and .270 opponents average over his final 26 contests...overall, he finished the2008 season with a 2-1 record, two saves and a 3.93 ERA in a career high 51 appearances...opponents batted.299, which was also a career high...allowed 14 of 32 (43.8%) inherited runners to score, which was fourth highestin the American League...first batters faced hit .364, which tied for fifth highest in the AL...it was the highest markby an A's reliever since Todd Burns allowed a .400 average against first batters in 1990...had six wild pitches, whichtied for second most among AL relievers...his opponents batting average included a .291 (32 for 110) mark againstright-handed hitters and .308 (28 for 91) against lefties...issued 17 of his 20 walks to right-handers...allowed a .344batting average with the bases empty and .257 with runners on...opponents were successful in all nine stolen baseattempts off him and they are now 20 for 20 in his career...had a 3.29 ERA and .255 opponents batting averagein 30 outings before the All-Star Break and a 4.70 ERA and .343 opponents average in 21 appearances after thebreak...now has a 2.49 ERA (14 er in 50.2 ip), .222 (41 for 185) opponents batting average and four home runsallowed in 49 career games before the All-Star Break and a 6.60 ERA (45 er in 61.1 ip), .285 (71 for 249) opponentsaverage and 10 home runs allowed in 57 games after the break...posted a 3.04 ERA in 25 outings on one day ofrest or less and a 4.73 ERA with all five of his home runs in 26 outings on two days rest or more...four of his fivehome runs were solo shots...did not allow a run in five games (6.2 ip) against Boston and has not allowed a run inseven career outings and 9.0 innings against the Red Sox...had a 2.78 ERA in 31 games at night and a 6.00 ERAin 20 outings during the day. Saw his first significant playing time in the Major Leagues and was 3-1with two saves, three blown saves and a 4.44 ERA in 46 relief appearancesafter he was called up by the A's in June...had just nine appearances withthe A's over the previous three seasons...allowed just 5 of 31 (16.1%)inherited runners to score, which was the fourth lowest percentage in theAmerican League...issued six intentional walks, which tied for fifth amongall AL pitchers...allowed a .224 opponents batting average, which included.212 (14 for 66) against left-handed hitters and .230 (29 for 126) againstright-handers...has allowed a .223 opponents average in his career, including.211 (19 for 90) against lefties and .231 (33 for 143) againstrighties...opponents were 14 for 56 (.250) with runners in scoring position,but were just 5 for 29 (.172) with RISP and two outs...first battersfaced were 8 for 41 (.195) with four walks...has allowed a .188 (9 for 48)average against first batters in his career...compiled a 2.96 ERA and alloweda .161 opponents batting average in 21 outings in Oakland comparedto a 5.81 ERA and .276 opponents average in 25 outings on theroad...had a 0.45 ERA and .169 opponents batting average in 16 outingsbefore the All-Star Break and a 7.04 ERA and .256 opponents batting averagein 30 outings after the break...posted a 7.62 ERA in 13 outings on nodays rest and a 3.35 ERA in his other 33 outings...had a 1.77 ERA and.155 opponents batting average in 15 outings during the day and a 6.23ERA and .264 opponents average in 31 outings at night...posted a 1.04ERA in eight interleague outings and had a 5.14 ERA against ALteams...including 8.40 against AL West foes...now has a 0.84 ERA (1 erin 10.2 ip) in 10 career outings against the National League...has a 9.00ERA (17 er in 17.0 ip) in 18 career appearances against divisionalcompetition. Was recalled from Triple-A Sacramento on June 3 and didnot allow a run over his first 10 outings (12.1 ip)...did not allow a run in 18of his first 20 outings and had a 0.70 ERA and .174 opponents battingaverage over his first 20 games through July 21...then posted an 8.28 ERA and .270 opponents batting average over his final 26 outings...allowed atleast one run in 11 of those games...tossed at least one inning in 18 of hisfirst 20 appearances but tossed one inning or fewer in 21 of his final 26games...tossed 2.0 innings on nine occasions, matching his careerhigh...recorded his first Major League win in his second outing on June 4against Boston when he tossed a scoreless 11th inning in the A's 5-4win...then picked up his first career save two days later against the RedSox on June 6...entered the game in the eighth inning with two outs and arunner on first with the A's leading 3-2 and retired four of the finalbatters...save number two came on June 4 at Houston...struck out a careerhigh four batters in 1.1 innings on June 19 against Cincinnati...was taggedwith the first loss of his career on June 23 at New York (NL)...entered thegame in the bottom of the ninth inning with no score and allowed a double,an intentional walk and a Wright RBI double for the loss...followed thatup with six scoreless outings from June 26 to July 13 (8.2 ip)...then allowed19 runs over an 18-game stretch from July 15 to August 25 (9.16ERA)...was ejected from the game on August 23 at Tampa Bay by homeplate umpire John Hirschbeck for throwing at Brendan Harris...allowedjust 1 of 22 inherited runners to score over his first 37 games through theend of August...then allowed 4 of 9 to score in nine games inSeptember...put together a seven game, 6.1-inning scoreless streak fromAugust 28 to September 12 and then allowed five runs over his final fourgames (4.2 ip) to finish the year with a 4.44 ERA...was 2-1 with threesaves and a 4.13 ERA in 22 appearances with Sacramento...yielded justone home run in 24.0 innings and struck out 29 (10.9 per nineinnings)...allowed a .209 opponents batting average, which included a .140(8 for 57) mark against right-handed hitters and .345 (10 for 29) againstleft-handers...had eight walks and four strikeouts against lefties and sixwalks and 25 strikeouts against righties...did not allow a run in 10 outings(11.1 ip) at Sacramento's home ballpark, Raleys Field...had a 7.82 ERA in12 appearances on the road...did not allow a run in the ninth inning (7.1 ip,12 so)...allowed 3 of 14 (21.4%) inherited runners to score...did not allowa run in nine of his first 10 outings, but allowed four runs in 0.1 innings onApril 19 at Portland in the one game he allowed a run...also allowed fourruns in 0.1 innings on May 13 at Iowa to give him a 6.06 ERA over his first15 games...finished the Triple-A portion of his campaign with a seven-game,7.2-inning scoreless streak starting on May 15...picked up two ofhis three saves over that span. The former Jairo Garcia appeared in just two games with the A's and had his Minor League season cut short by injury. He was brought up from Triple-A Sacramento on May 21 and tossed a scoreless inning that day against the Giants. Two days later, he allowed three runs in 1 1/3 innings at Chicago, and was optioned back to Sacramento on May 27 after posting a 11.57 ERA in two appearances. He went 2-0 with four saves, four blown saves and a 3.27 ERA in 25 games at Sacramento. On June 21, he was placed on the disabled list with a strained right shoulder and missed the rest of the season. Had two stints with the A's and appeared in just three games...compiled a 3.00 ERA and allowed a .182 opponents batting average...called up for the first time on June 17 and faced Philadelphia that night (1.0 ip, 1 h)...optioned to Triple-A Sacramento on June21 and returned to Oakland on September 12...appeared in two games during his second stint (2.0 ip, 1 h, 1 r, 1 er, 1 bb, 1 so)...spentthe Minor League portion of his season at Double-A Midland and Sacramento and combined for a 3-6 record, 26 saves and a 3.60 ERA(26 er in 65.0 ip) in 54 relief appearances...his 26 saves tied for the most in the A's farm system with Alex Santos and were a careerhigh...20 of his saves came at Sacramento which led the team and ranked fifth in the Pacific Coast League...in addition to saves, he alsohad minor league career highs in appearances, strikeouts and losses...struck out 103 batters in 65.0 innings, an average of 14.26 pernine innings...fanned at least one batter in 48 of his 54 outings...now has 421 strikeouts in 334.2 career minor league innings (11.32 pernine innings)...allowed a .219 opponents batting average which included a .203 (31 for 153) mark against right-handed hitters and .245(23 for 94) against left-handers...tossed more than 1.0 innings in six of his 10 outings at Midland and tossed 1.0 innings or fewer in 31of his 44 outings with Sacramento...began the season at Midland where he was 0-0 with six saves and a 1.08 ERA in 10 relief appearances...allowed a .153 (9 for 59) opponents batting average, including .125 (2 for 16) with runners in scoring position...did not allow arun over five consecutive outings from April 13 to 24 (8.1 ip)...pitched a season high 3.0 innings on April 24 at San Antonio and thenstruck out a season high six in 2.2 innings in his next outing on April 30 against Wichita...was promoted to Sacramento on May 10 andwent 3-6 with a 4.47 ERA in 44 appearances with the River Cats...recorded the save in each of his first three outings with Sacramentobut allowed at least one run in seven of his first 11 outings for a 6.00 ERA (8 er in 12.0 ip)...was 1-4 with six saves and a 4.50 ERA in 15outings when the A's called for the first time on June 17...returned to Sacramento on June 21 and allowed at least one run in four of hisfirst six games following his return (8 er in 7.0 ip, 10.29 ERA), including a season high five in 0.1 innings on July 1 against Salt Lake...puttogether his best ERA in the month of August when he had a mark of 1.98 (3 er in 13.2 ip) with seven saves in 14 relief appearances...recorded the save in each of his final five regular season appearances (5.1 ip, 3 h, 1 bb, 7 so)...then went 0-1 with one save anda 10.12 ERA (2.2 ip, 2 h, 4 r, 3 er, 5 bb, 6 so) in four post-season games for the River Cats...the loss came in the fifth and deciding gameof the PCL Semi-Finals against Tacoma, a 5-2 loss in 11 innings (0.2 ip, 1 h, 3 r, 2 er, 1 bb, 1 so)...pitched for Escogido in the DominicanWinter League following the season and was 1-0 with a save and a 1.01 ERA (3 er in 26.2 ip) in 20 relief appearances. Made the jump from Single-A to the Major Leagues...began the season at Single-A Kane County of the Midwest League andwent 1-0 with a team leading 16 saves and a 0.30 ERA in 25 relief appearances...had a .154 opponents batting average, 49 strikeoutsand six walks in 30.0 innings...was transferred to Double-A Midland on June 24 and went 2-0 with two saves and a 1.50 ERA in 13 reliefappearances...allowed a .161 opponents batting average and struck out 32 in 18.0 innings...was moved up to Triple-A Sacramento onJuly 30 and had a save in three appearances before he was selected by Oakland on August 9...made his Major League debut that dayat Minnesota, pitching the final two innings of the A's 8-2 win...walked two and struck out one and did not allow a hit...allowed threeruns in each of his next two outings on August 11 against Detroit and August 13 against Kansas City...allowed a grand slam to JohnBuck against the Royals and had an 11.57 ERA in three games when he was optioned back to Sacramento on August 18...went 1-2 witha save and a 3.95 ERA in 11 regular season appearances with the River Cats...allowed a .208 opponents batting average and struck out21 in 13.2 innings...did not allow a run in two postseason appearances for Sacramento (3.0 ip, 1 h, 1 bb, 4 so)...was brought back toOakland on September 14 and made just one appearance after his return on September 15 against Texas (1.0 ip, 2 h, 2 r, 2 er, 3 bb)...hada 12.71 ERA in four appearances overall with the A's...walked nine and struck out five in 5.2 innings...combined to go 4-2 with 19 savesand a 1.46 ERA in 49 minor league appearances during the regular season...the saves ranked second in the A's farm system to JeffColeman (23)...allowed a .168 opponents batting average and just one home run in 61.2 innings...struck out 102 for an average of 14.89strikeouts per nine innings which was the second best strikeout per nine inning ratio among all minor league relievers...fanned at leastone batter in 44 of his 49 outings...left-handers batted .193 (17 for 88) and right-handers hit .151 (19 for 126)...opponents hit .131 withrunners in scoring position...struck out 19 of the first 33 batters he faced at Kane County...did not allow an earned run over his final 19.1innings with the Cougars...did not allow a home run in 30.0 innings at Kane County and 18.0 innings at Midland...did not allow a runover his final eight outings with Midland (12.1 ip)...allowed his only minor league home run on August 21 at Fresno. Began theseason in extended spring training and was transferred to Kane County on May 19...went 0-1 with a 2.55 ERA in 14 games, ninestarts...did not allow a home run in 42.1 innings...allowed a .250 opponents batting average which broke down to .272 (22 for 81) againstleft handed hitters and .228 (18 for 79) against right-handers...was 0-1 with a 2.57 ERA and .263 opponents batting average in his ninestarting assignments and 0-0 with a 2.45 ERA and .185 opponents batting average in his five relief appearances...his first two appearances of the season came in relief before making five consecutive starts from May 30 to July 3 (7 er in 19.0 ip, 3.32 ERA)...had his lonedecision of the season on June 9 at West Michigan, a loss (6.2 ip, 6 h, 1 r, 1 er, 2 so)...was on the disabled list from July 12 to 29 with apulled left hamstring...tossed 4.0 scoreless innings of relief in his first three appearances following his return before finishing the seasonwith four starts (3 er in 16.0 ip, 1.69 ERA). Began the season with the A's affiliate in the Arizona Rookie League for the second consecutive season and went 2-1 with a 2.44 ERA and one save in 13 games, eight starts, before he was promotedto Single-A Vancouver on August 24...went 0-3 with a 7.30 ERA in three starts with the Canadians and was a combined 2-4with a 3.28 ERA in 16 games, 11 starts...had career highs in losses (4), starts and innings pitched (71.1 ip)...allowed a .266(71 for 267) opponents batting average...struck out 82 for an average of 10.3 per nine innings...struck out 11 batters on August16 at the Angels and 10 on August 21 against the Angels, his final two starts in the Arizona Rookie League...ranked third inthe AL in ERA and fifth in strikeouts (66)...also appeared in three games in the outfield with Arizona and was 6 for 13 (.462)with two doubles, a triple and five RBI. Spent his first season in the United States with the A's affiliate in the Arizona Rookie League and was 4-2 with a 2.85 ERA in 12 games, seven starts...ranked seventh in the league in ERA...allowed a .214 opponents batting average...struck out 50 while walking just six in 47.1 innings, a strikeout to walk ratio of 8.3 to 1...allowed just two home runs. Made his professional debut with the A's affiliate in the Dominican Summer League and was 6-2 with a 3.26 ERA in 11 games, 10 starts...the wins were a career high...allowed a .189 opponents batting average. November 2, 2018 RHP Santiago Casilla elected free agency. July 31, 2018 RHP Santiago Casilla assigned to Albuquerque Isotopes. July 28, 2018 Colorado Rockies signed free agent RHP Santiago Casilla to a minor league contract. July 19, 2018 Oakland Athletics released RHP Santiago Casilla. July 14, 2018 Oakland Athletics designated RHP Santiago Casilla for assignment. June 8, 2018 Oakland Athletics activated RHP Santiago Casilla from the 10-day disabled list. June 5, 2018 Oakland Athletics sent RHP Santiago Casilla on a rehab assignment to Stockton Ports. May 26, 2018 Oakland Athletics placed RHP Santiago Casilla on the 10-day disabled list. Right shoulder strain. January 20, 2017 Oakland Athletics signed free agent RHP Santiago Casilla. November 3, 2016 RHP Santiago Casilla elected free agency. June 20, 2016 San Francisco Giants activated RHP Santiago Casilla from the paternity list. June 17, 2016 San Francisco Giants placed RHP Santiago Casilla on the paternity list. June 16, 2014 San Francisco Giants activated RHP Santiago Casilla from the 15-day disabled list. June 12, 2014 San Francisco Giants sent RHP Santiago Casilla on a rehab assignment to San Jose Giants. July 13, 2013 San Francisco Giants activated RHP Santiago Casilla from the 15-day disabled list. June 30, 2013 San Francisco Giants sent RHP Santiago Casilla on a rehab assignment to San Jose Giants. May 21, 2013 San Francisco Giants placed RHP Santiago Casilla on the 15-day disabled list. Cyst in his right knee. May 28, 2011 San Francisco Giants activated RHP Santiago Casilla from the 15-day disabled list. May 18, 2011 San Jose Giants sent RHP Santiago Casilla on a rehab assignment to Fresno Grizzlies. May 13, 2011 Santiago Casilla assigned to San Jose Giants. April 6, 2011 Santiago Casilla roster status changed by San Francisco Giants. December 18, 2010 RHP Santiago Casilla assigned to Leones del Escogido. May 21, 2010 San Francisco Giants purchased RHP Santiago Casilla from Fresno Grizzlies. May 9, 2010 Santiago Casilla roster status changed by Fresno Grizzlies. April 7, 2010 RHP Santiago Casilla assigned to Fresno Grizzlies. January 21, 2010 San Francisco Giants signed free agent RHP Santiago Casilla to a minor league contract and invited him to spring training. December 10, 2009 Oakland Athletics released RHP Santiago Casilla. May 15, 2009 Oakland Athletics activated RHP Santiago Casilla from the 15-day disabled list. May 12, 2009 Oakland Athletics sent RHP Santiago Casilla on a rehab assignment to Sacramento River Cats. May 9, 2009 Oakland Athletics sent RHP Santiago Casilla on a rehab assignment to Stockton Ports. May 2, 2009 Oakland Athletics placed RHP Santiago Casilla on the 15-day disabled list retroactive to April 29, 2009. Sprained right knee.